For the Tote is a sporadic feature here on Beauty and the Bookshelf where I, in short, post about a few things (or more!) I would like to fill a tote up with. Maybe you've heard of this book. It's the sequel to Sarah J. Maas's A Court of Thorns and Roses and it is CURSED BY THE CAULDRON. It's also pretty freaking amazing and is, in fact, everything. (You can find my review here.) 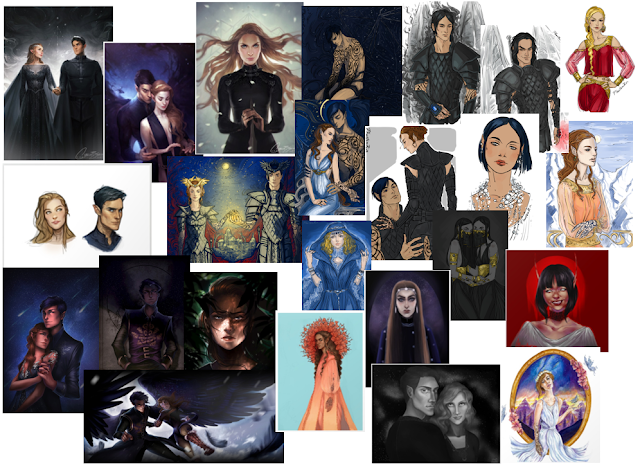 If you're like me you're just a LITTLE BIT OBSESSED with ACOMAF. Just a little bit. 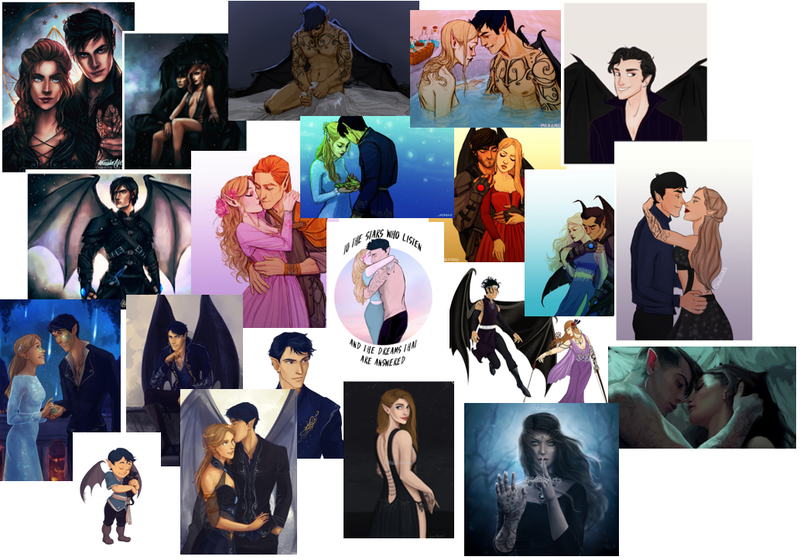 And if you're like me you need to be in possession of all things ACOMAF. HENCE THE REASON FOR THIS POST. 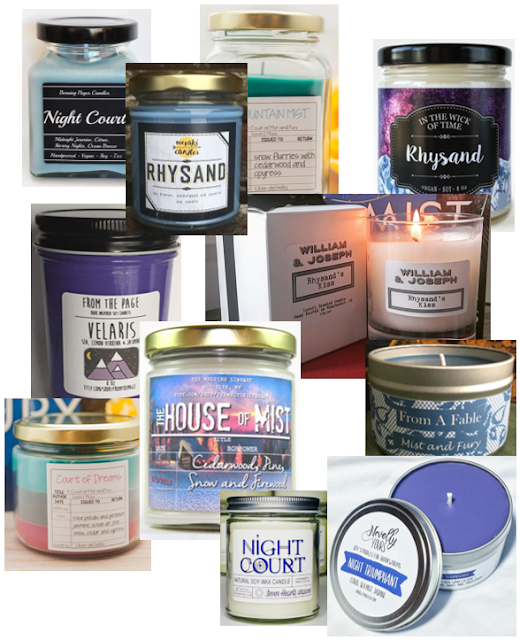 I have compiled, just for you, a list of a shitload of things you can buy that are related to ACOMAF. (Your bank account is going to hate me, sorry not sorry.) This is, however, only PART ONE. That's because a) there's a lot of stuff and b) this post has already taken forever and is a day later than I wanted it to be and I'm tired of putting it together. But part two will be coming SOON! 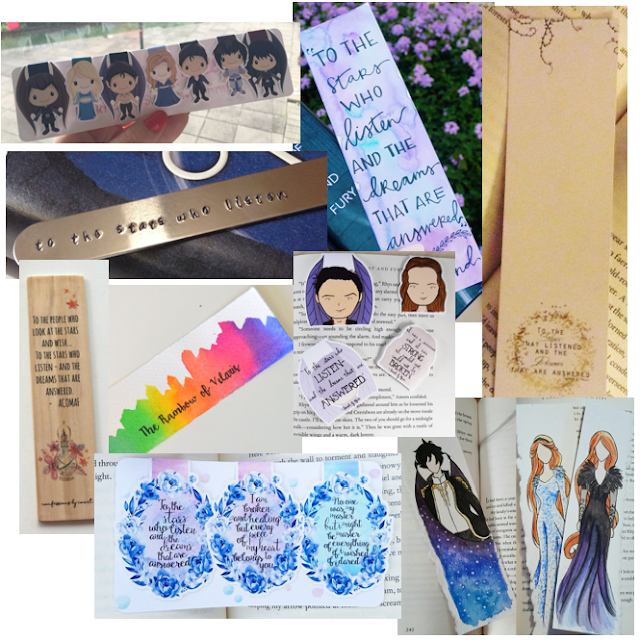 For now here's a bunch of candles, bookmarks, and fanart you can buy. Oh, and the best part about the fanart is that most of it's on Society6 and/or Redbubble--so you can buy all the things on all the things. Your bedroom could basically be Velaris. YOU'RE WELCOME. And I hope you find some things to buy. annehbird: "Feysand" // Ailsa-miller: "Feyre" // EllunaArts: "To The Stars Who Listen"
"Rhys" | "Feyre Cursebreaker" | "Rhys and Feyre" // Mirandemia: "Amren" // May12324: "Feyre Archeron of Roses" // kkharin: "High Lady of the Night Court" // Kimberlytatta: "Fair of Face, Fierce of Heart" // Danyella Doodles: "Feysand"
Rhysand has my heart. Love this post! Wow thanks for adding me to your list! I hope one day you can buy allllll the things!